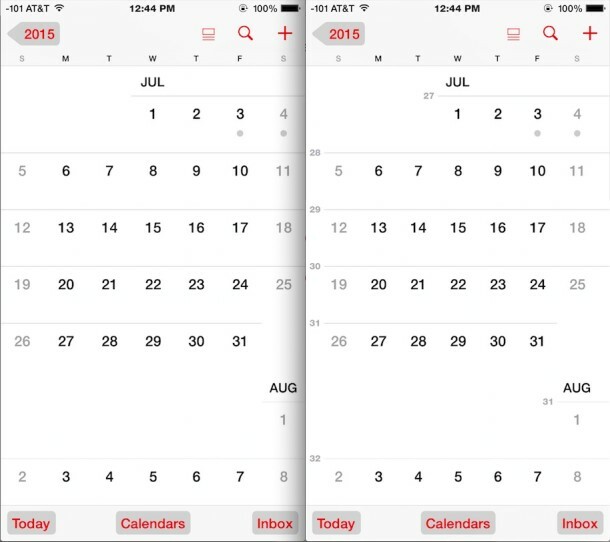 The week numbers will appear directly before the start of the week in a lighter gray text in Month view and Dates List view, on the leftmost side of the week start date, though it will shift slightly if you changed your weeks start date to Monday rather than Sunday. It’s subtle enough that even if you don’t rely on knowing a given week number all the time, having it enabled is not going to be intrusive even for occasional use. Of course, you could just toggle the switch ON when necessary to know the number of a given week, and toggle it off when you no longer want to see it, but for my iPhone I’ve decided to leave it enabled all the time. Now it’s easy to tell if a visible Holiday falls on a particular week of the year or if a particular week is too busy and will conflict with other happenings. 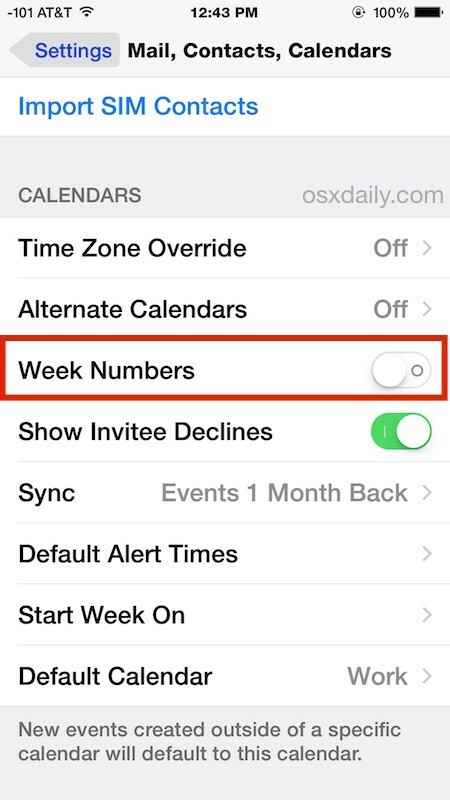 This feature is only available on iPhone, iPad, and iPod touch running modern versions of iOS, if you do not see the Week Numbers toggle within your Settings app for the Calendar, you’d need to update iOS to reveal the settings change. you’d think this may be enabled by default? The majority of people would never use week numbers, so it clearly isn’t turned on for that reason. Just because you use it doesn’t mean the majority does. How do you delete an event of someone who has died? 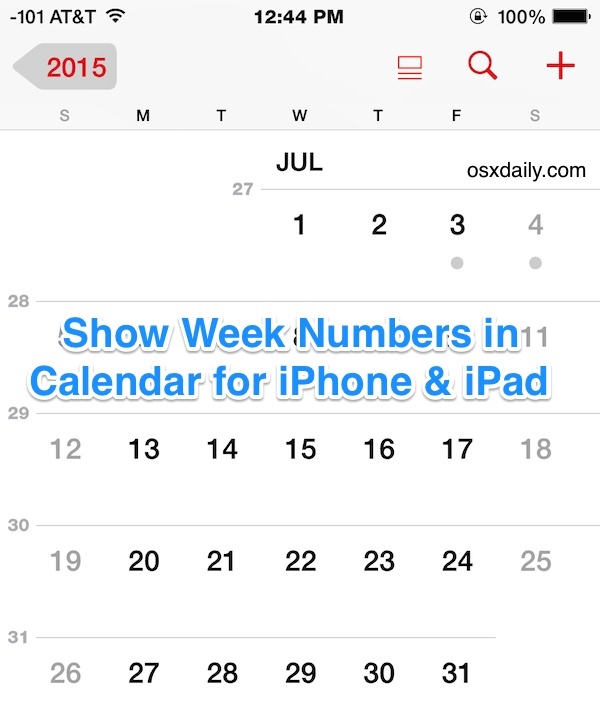 The calendar week function does not match the European calendar. How can we correct this?